The condo was very comfortable and well located. 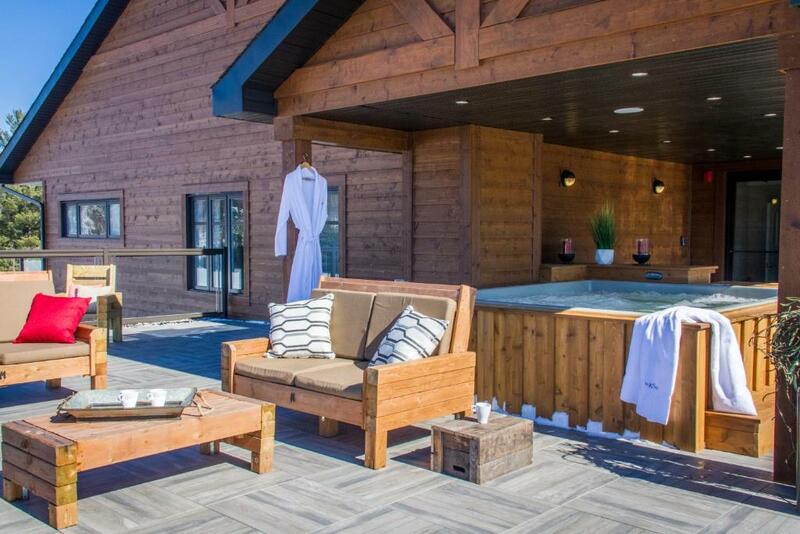 Loved the outside hot tub. Loved the gym. We had a great time with our little pooch. Also appreciate that dogs are allowed and not extremely expensive as in some other locations. Also appreciated the indoor parking. Well worth the extra charge to have the car under ground. Will definitely be back. Great clean hotel. We had 2 extra people and they did not charge us extra for them. That was kind of nice. Quiet, modern and spacious... Loved the skating on the lake behind the hotel... Overall it was a spectacular stay. The condo unit was super clean !! Beds comfortable ..
Beautiful, LARGE, CLEAN condo! The restaurant next door was great, fresh food and reasonable prices. Super friendly staff and good massage therapist. 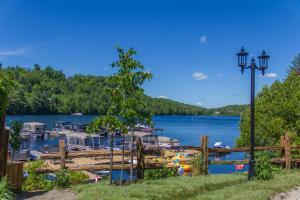 Lock in a great price for Le Viking Resort & Marina – rated 8.7 by recent guests! Le Viking Resort & Marina This rating is a reflection of how the property compares to the industry standard when it comes to price, facilities and services available. It's based on a self-evaluation by the property. Use this rating to help choose your stay! 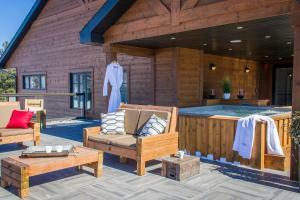 Le Viking Resort & Marina is a resort located in the center of the village of Sainte-Marguerite-du-Lac-Masson. Each stylish unit is fully furnished. Le Viking Resort & Marina also includes a fitness room, dry sauna, wellness center and a terrace equipped with a hot tub and lake view. On-site laundry is available for a nominal fee. Guests can enjoy fine dining at the on-site restaurant. When would you like to stay at Le Viking Resort & Marina? 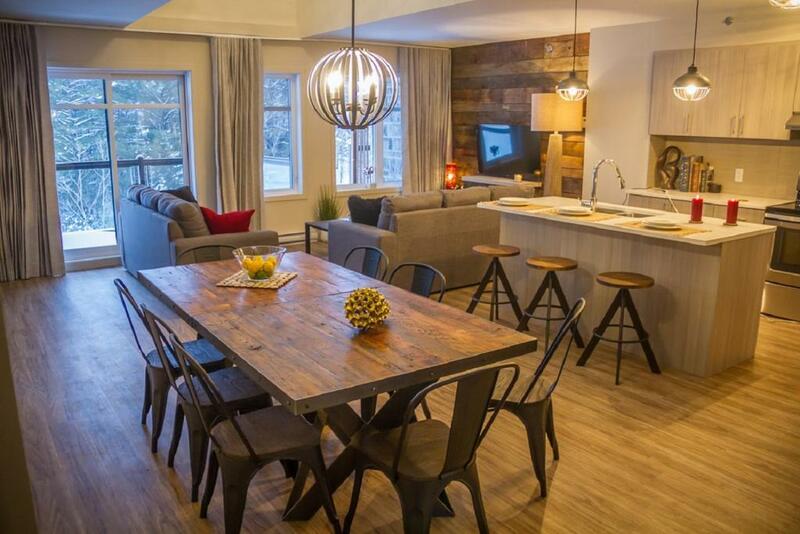 This condo features a kitchenette, balcony, garden view and a private bathroom. It has a queen bed and a sofa bed. An electric fireplace, LED mirror and eco-friendly products are included. 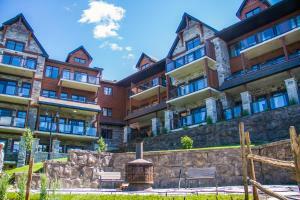 This condo with a closed bedroom has a kitchenette, 1 or 2 bathrooms and a view of the village. It has a queen bed and a sofa bed. An electric fireplace, LED mirror and eco-friendly products are included. 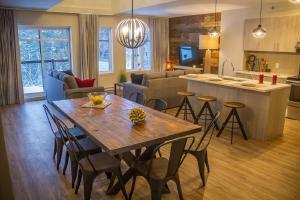 This 1-bedroom unit comes with a kitchen and a closed bedroom. It has a view of the village, as well as 1 bathroom, 1 queen bed and 1 sofa bed. An electric fireplace, LED mirror and eco-friendly products are included. This 1-bedroom condo features a spacious private patio and a fully furnished kitchen. It has a balcony with a view of the village, 1 bathroom, 1 queen bed and a 1 sofa bed. An electric fireplace, LED mirror and eco-friendly products are included. This unit includes an electric fireplace, LED mirror and eco-friendly products. This apartment features an electric fireplace, LED mirror and eco-friendly products. 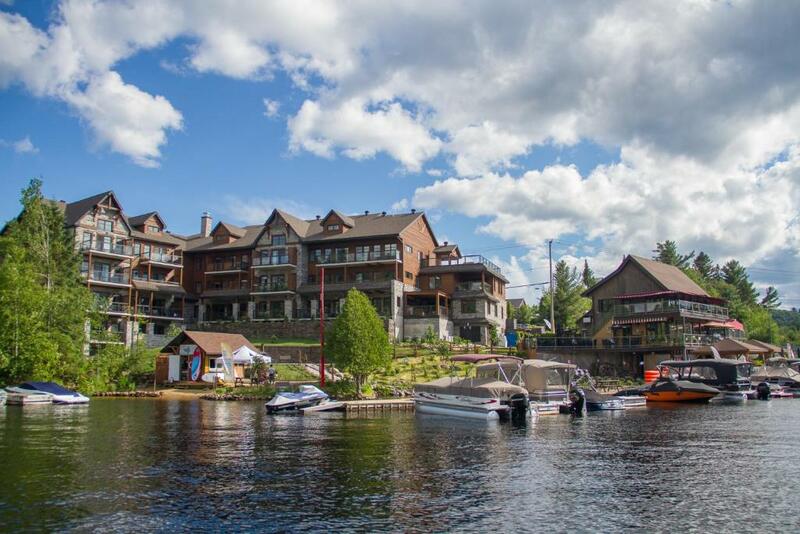 The Viking Resort & Marina is a resort located in the village of Ste-Marguerite-du-Lac-Masson in the magnificent Laurentian region. This unique condo-boutique will seduce you by his local art gallery. 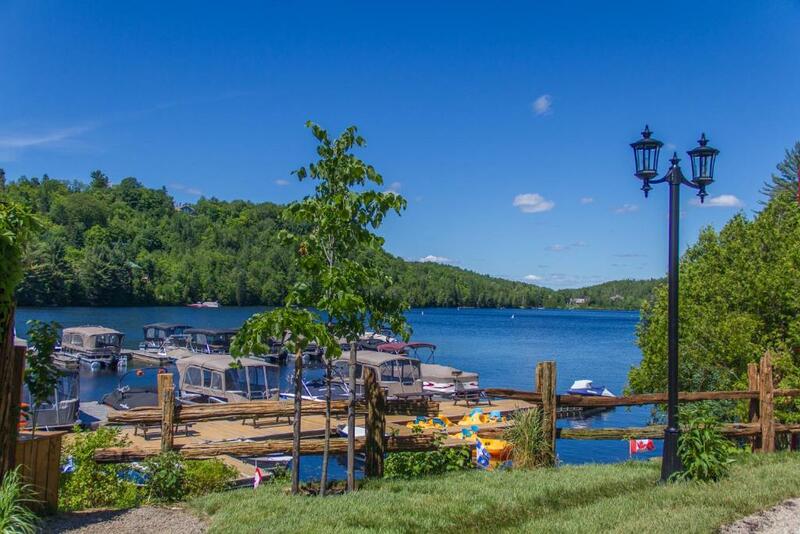 Exceptionnal and high-end destination, The Viking Resort & Marina offers the conveniences of a resort with the comfort, the advantages and the peace of mind of a cottage. 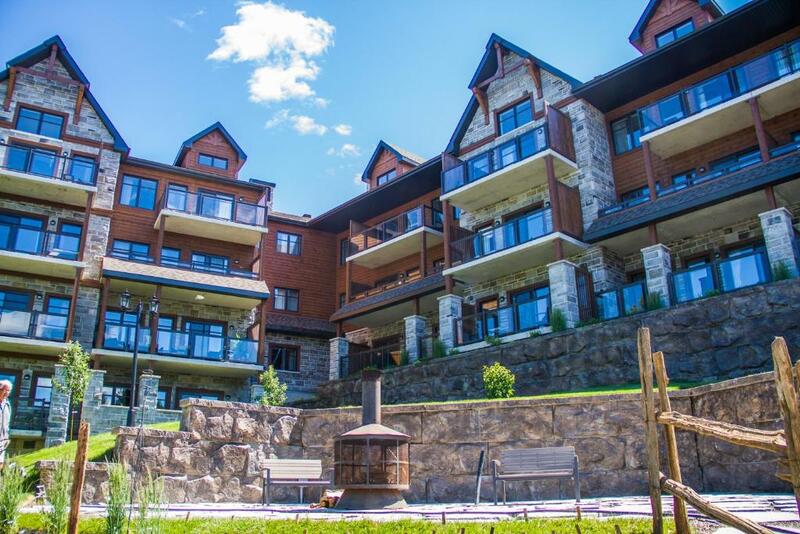 Counting more than 40 units, our condos-chalets are unique, original and completely furnished. The Viking Resort and Marina also offers a gourmet restaurant, a marina, a gym, a body care center as well as a terrace equipped with a spa, with an exceptional view on the lake, and several other services. The Viking Resort & Marina also features a gourmet restaurant, a marina, a training room, a wellness center and a spa terrace with exceptional views of the lake and surroundings. Do not forget your swimsuit ! House Rules Le Viking Resort & Marina takes special requests – add in the next step! A CAD250 damage deposit is required 7 days before arrival (about USD186.97). This deposit will be fully refunded at check-out, as long as there isn't any damage to the property. Le Viking Resort &amp; Marina accepts these cards and reserves the right to temporarily hold an amount prior to arrival. Le Viking Resort & Marina accepts these cards and reserves the right to temporarily hold an amount prior to arrival. Please note that dogs can be accommodated on site for an additional fee per dog and per night. Please contact the property for details. Breakfast is possible for an additional fee, and guests must book this at least 24 hours in advance directly with the property. The reception desk in open 7 days. Sunday to Wednesday: 08:00 to 17:00 and Thursday to Saturday: 08:00 to 22:00. If needing a later, check-in, please contact the property directly. A damage deposit of CAD 250 is required. The host charges this 7 days before arrival. That's about 186.97USD. This will be collected by credit card. You should be reimbursed on check-out. Your deposit will be refunded in full by credit card, subject to an inspection of the property. Please inform Le Viking Resort & Marina of your expected arrival time in advance. You can use the Special Requests box when booking, or contact the property directly using the contact details in your confirmation. Only found it a little cold to get in and out of the hot tub. Also found it difficult to get in. The steps on the inside of the hot tub are not in the right location to gain access. The step on the outside gets very slippery with the cold. Maybe if there was more of a shelter from the wind, it would make it easier to get in and out. Great Staff. We forgot a pair of glasses and they really whent out of their way to ensure we got it back in a timely matter.